Good evening, blog readers! 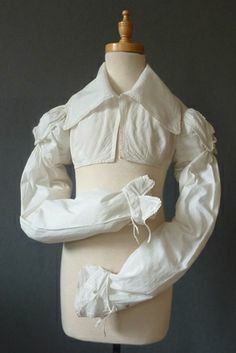 Today’s post is going to be predominantly photographs that I’ve pulled from my Regency board on Pinterest. I greatly enjoy anything Regency related, whether it be film, TV shows, or, most frequently, books. I both read and write Regency era novels, and while I do, I quite enjoy having visual inspiration. 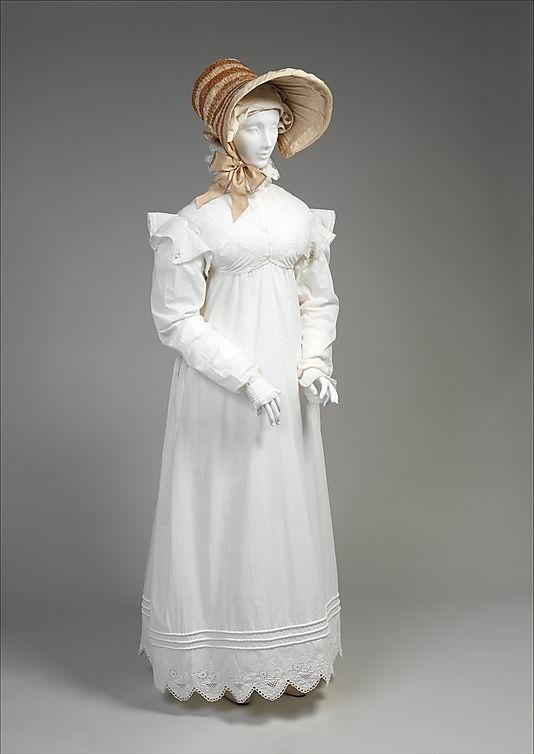 The following are pictures of Regency era women’s fashion. Rest assured, I plan to post several additional blogs, some more detailed than this one, with men’s fashion, rooms from ballroom to kitchens, estates, castles, and many more. I cannot claim to be an expert, by any means, on this subject, but I have spent many years reading on the topic. While I feel confident in what I know, I still have much to learn about Regency England. These are the photos I’ve chosen to share with you today. This is a Chemisette. 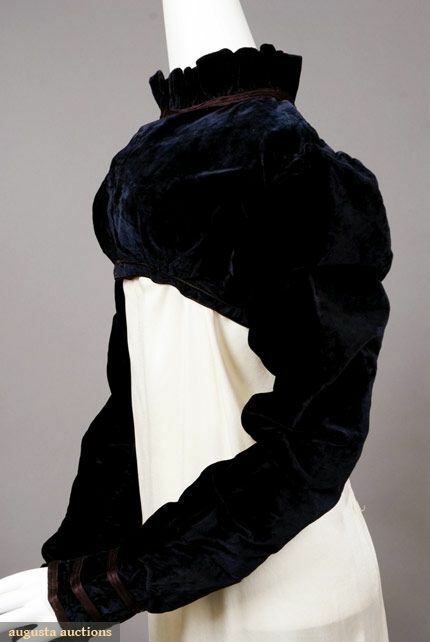 It was meant to cover a woman’s chest, raising the neckline of a gown to add modesty. 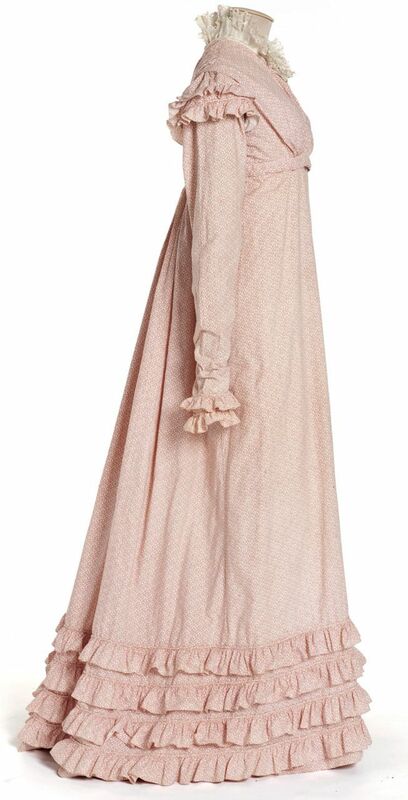 This is a cotton morning dress. This is a day dress. The pin I saved this from read “dress and spencer”. 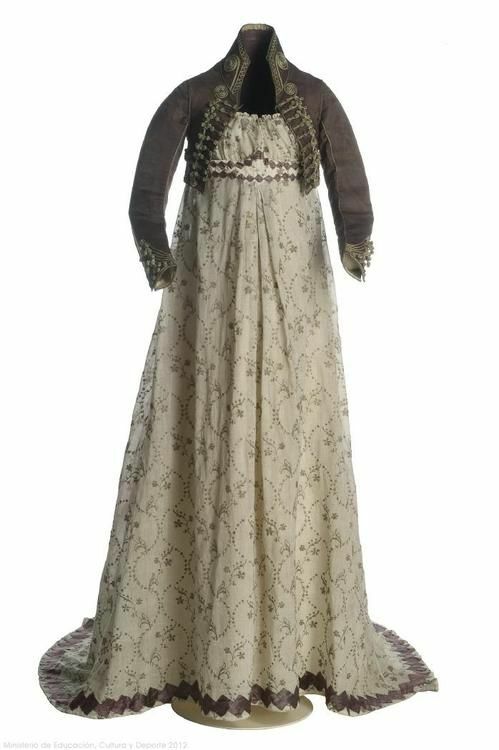 This is an evening dress. This is another evening gown. 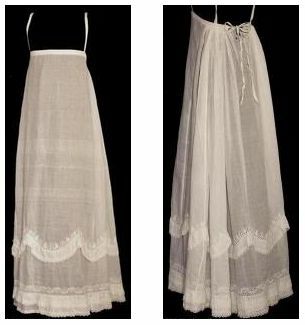 This is a photo of a linen petticoat. It goes beneath a dress/gown. 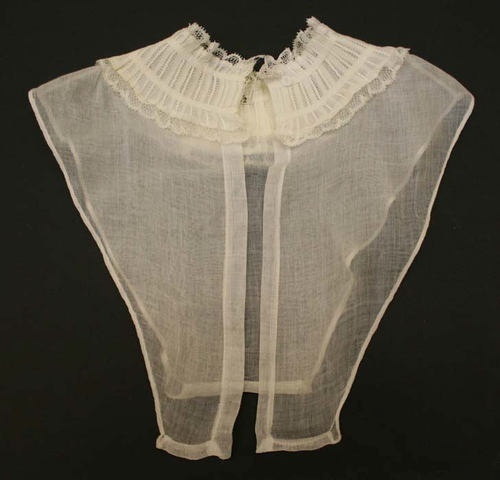 This is another example of a petticoat. This one is embroidered and decorative. 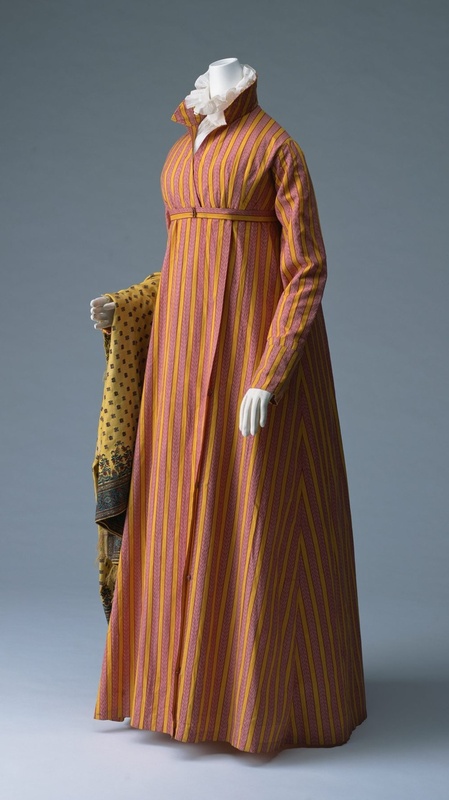 This pin read “Redingote, French, strip printed plain-weave cotton”. 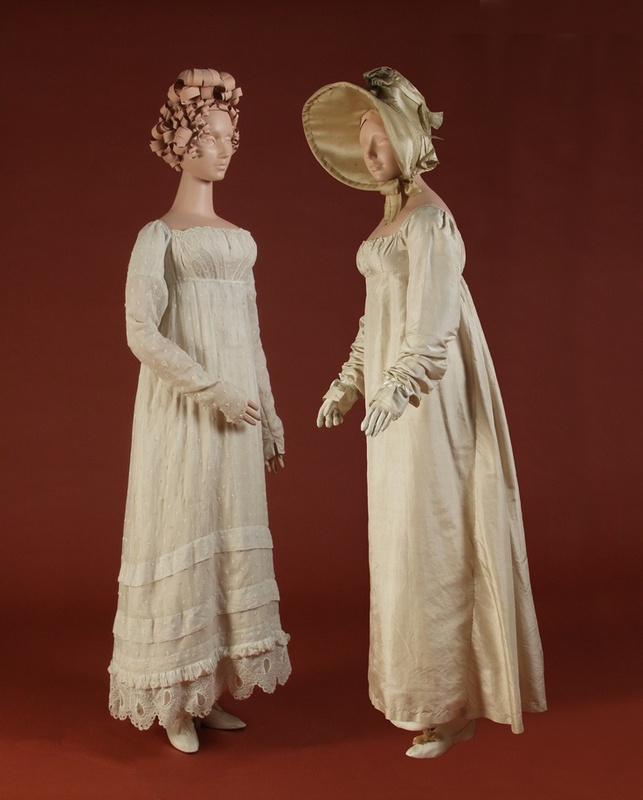 This is a photo of sprigged muslin gowns. “Sprigged” refers to the often embroidered design of flowers or sprigs of leaves. This photo focuses on a velvet spencer. This is a walking dress. This is another example of a spencer. 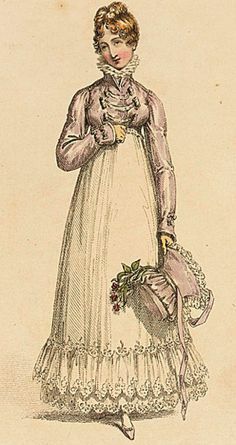 As I mentioned above, I am still learning about Regency fashion, but as I find it fascinating, I quite enjoy each lesson. If any of my readers have questions, comments, or if you would like me to post about anything specific, please let me know!